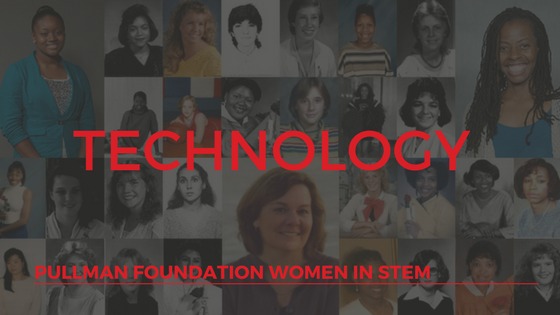 Thank you, Jeanne and Pullman Scholars who helped us highlight women in tech! As you can see, being a woman in tech is a rarity, but with organizations like the ones listed below hopefully more women will join this growing career field! If you’re interested in technology, don’t be afraid to join in. Consider being a part of one of the following organizations or help support one! They host the annual Grace Hopper Celebration, the largest gathering for women technologists. Professionals and students are welcome to attend, and students can even apply for scholarships to attend. The institute also provides curriculum to help strengthen interview, job, and technical skills. PowerToFly connects Fortune 500 companies and fast-growing startups with women who are looking to work for companies that value gender diversity and inclusion. They do help get women hired in a variety of fields, but they also specialize in women in technology and engineering. They make the hiring process easier and more comfortable for qualified female job candidates. They also provide events, webinars, and videos with career and interview tips on their resource page. Their blog also covers topics like diversity, inclusion hiring, companies who care, and interview tips. Want to set up your own profile for a job hunt, click here. Girls Who Code is a non-profit organization looking to close the gender gap in technology. They support free after-school programs for grades 6-12 and a summer immersion program (for those in 10th and 11th grade). There are multiple locations throughout the Chicago-area. If you’re interested in joining, contact the sponsor at any time during the school year. Learn about becoming a facilitator here! Women Techmakers is a Google program that provides visibility, community, and resources for women in technology. They host an annual conference, have activities throughout the year, and publish newsletters and other resources. You can learn more about joining here. Interested in more organizations? Women Techmakers has an extensive list here.